August 1, 2012 Tampa Bay Rays released DH Hideki Matsui. July 25, 2012 Tampa Bay Rays designated DH Hideki Matsui for assignment. May 29, 2012 Tampa Bay Rays selected the contract of DH Hideki Matsui from Durham Bulls. April 30, 2012 Tampa Bay Rays signed free agent DH Hideki Matsui to a minor league contract. 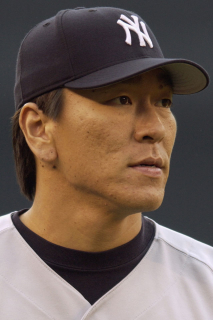 October 30, 2011 DH Hideki Matsui elected free agency. December 14, 2010 Oakland Athletics signed free agent DH Hideki Matsui. November 7, 2010 DH Hideki Matsui elected free agency. December 16, 2009 Los Angeles Angels signed free agent DH Hideki Matsui. November 9, 2009 DH Hideki Matsui elected free agency.